Orthopedic surgeons often use injections to treat a variety of conditions. Commonly injected medications include cortisone, local anesthetics, and joint lubricants such as hyaluronic acid. In some cases, delivering an injection is not as easy as it sounds. Some require you to hit the target just right, often with the slimmest margin of error. Joint injections, for example, need to be administered within the joint space and not the surrounding soft tissue. Similarly, tendon injections should be administered in the tendon sheath, the structure covering the tendon, and not the tendon itself. Traditionally, injections were given "blind," requiring a doctor to have a certain degree of experience, delicacy, and anatomical know-how. Even then, there was no guarantee of success. These days, orthopedists largely avoid the hit-or-miss approach by using guided technologies such as ultrasound. 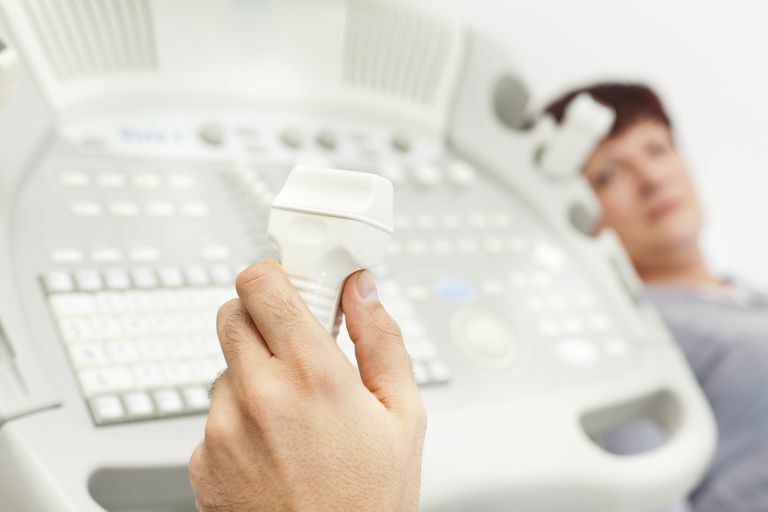 One of the most commonly used devicse for image-guided injections is the ultrasound. Until recently, they were used infrequently in an orthopedist office, either because they were cumbersome or costly (or both). Today, newer portable models offer the ease, accuracy, and resolution needed for a broader range of orthopedic procedures. Ultrasound-guided injections are performed much in the same way as traditional injections. To ensure the images come in clear, an ultrasound gel will be applied directly to the skin. The gel acts as a conductive medium that creates a tight bond between the skin and the ultrasound probe. This ensures the reflected sound waves have minimal interference. The probe, also known as a transducer, is then placed near or adjacent to the targeted tendon or joint. Once the doctor has identified the anatomic landmarks on the monitor, the injection will be delivered using a standard needle and syringe. The ultrasound also allows you to visualize fluids so that you can see if the medication is being distributed exactly where you need it to be. There has been an ongoing debate as to whether ultrasound-guided injections are worth all the fuss. Much of the dissent comes from insurers and private payors who question the value of a tool that may add $100 or more to a bill. Others, meanwhile, wonder if greater impetus should be placed on proper injection training rather than offering technological shortcuts to doctors. Despite some validity to the arguments, the simple fact remains that there are numerous anatomically difficult parts of the body that even experienced doctors may cringe about. Consider, for example, the value of an ultrasound in performing a lumbar puncture (spinal tap) on an elderly patient with extensive osteoarthritis. The same thing applies to people with joint disorders. If there is the long-term or acute damage, an otherwise "simple" injection can turn challenging for not only for the doctor but the person undergoing the procedure. Ultrasounds are not necessarily the best tool to guide injections for every particular situation. In some situations, other imaging modalities can be used to assist with injection guidance. For example, x-ray machines and CAT scanners are routinely used for injection guidance in some situations. There is no minimizing the impact of out-of-pocket medical costs for people who are either uninsured or underinsured. If you have serious financial concerns, don't be afraid to question the cost of any medical procedure being offered you. If you are scheduled to have an ultrasound-guided injection, ask your doctor if the technology is really needed. Explain your concerns, keep an open mind, and make an informed choice based on the information given you. It is your right as a patient. Lee, H. Hans, P.; Park, J. et al. "Sonographically guided tendon sheath injections are more accurate than blind​​ injections: implications for trigger finger treatment." J Ultrasound Med. 2011; 30(2):197-203. Park, Y.; Lee, S.; Park, H. et al. "Comparison of sonographically guided intra-articular injections at 3 different sites of the knee." J Ultrasound Med. 2011; 30(12):1669-76.